One of the most sinister blades a fighter could use in close combat, this Black Ulak Saber Claw mimics the design of a sharp and deadly claw from a big cat and turns it into a swing blade capable of slicing and stabbing with ease. The long blade of this knife is made from stainless steel, with serration at the curve to add extra insult to injury with your punch. Holes on the curve not only help to lighten the blade, but also add a stealthy look. The black handle of the blade features curved grips to ensure a comfortable hold on the knife as well. 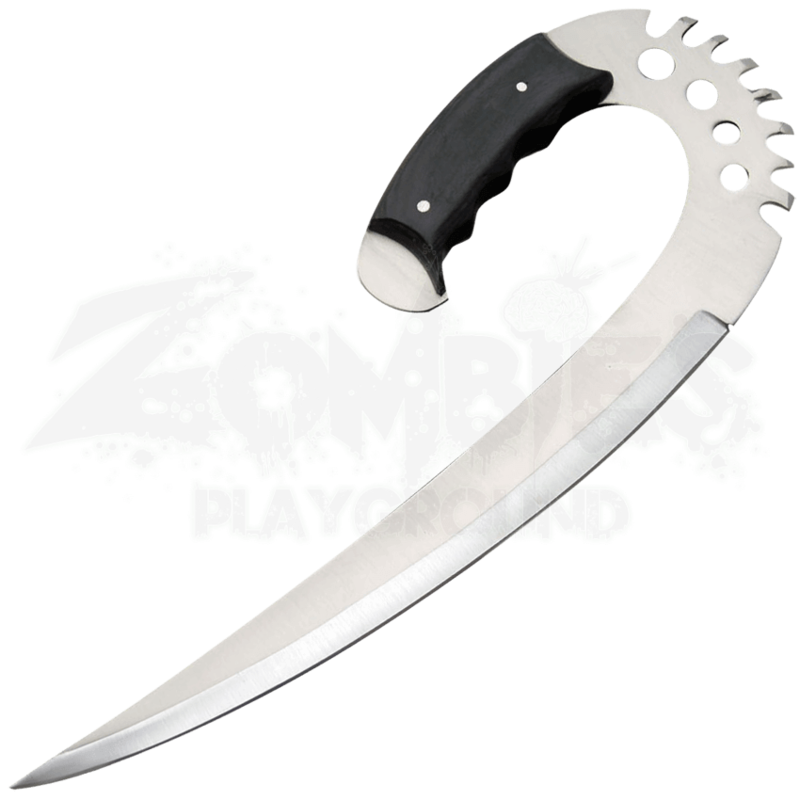 With a black sheath included, this Black Ulak Saber Claw is everything you need to show an enemy what you are made of before you even throw a punch.